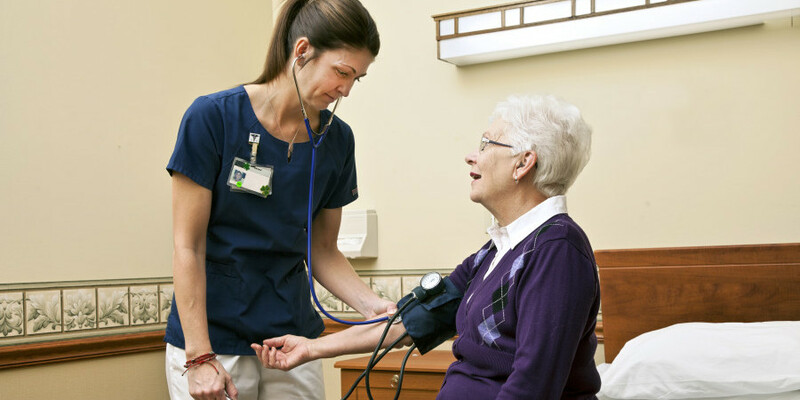 Autumn Woods Health Care Facility offers Medical Acute Care for those with acute medical conditions and complex needs that typically require hospitalization. This specialized program offers a variety of benefits that are not always available in a hospital setting, including a higher staff-to-patient ratio, a full-scale rehabilitation unit and a home-like tailored environment. This is especially helpful if you need calmer surroundings or are in a weakened or frail condition. As our patient, you will receive comprehensive treatment from a full team of health care providers, including physicians, physical, occupational and speech therapists, registered nurses, nutritionists and more. Your treatment program is specifically designed to meet your immediate and long-term needs, with special care given to retaining your overall function. Call or visit our facility to learn more about our Medical Acute Care program.